June 21 is Father's Day, also the first day of summer for us in the northan hemisphere if we want to get super geographical. Every year families celebrate Father's Day, whether they do something for thier dads or with, sometimes a card and gift or just a card. Some of us may not do alot on Father's Day as some of us such as me don't have thier dad around. Some of us may have lost a father, and or step-father through death and or seperation. If you out there have lost a father or maybe some of you might not know him, remember our heavenly Father cares for us dealry and daily. He's there each step of the way. He gives us the grace and peace we may not always deserve, but knows that we need it. Here's something I made for my real dad who is seperated from us. Enjoy and God Bless! This entry was posted in Images and tagged Eph. 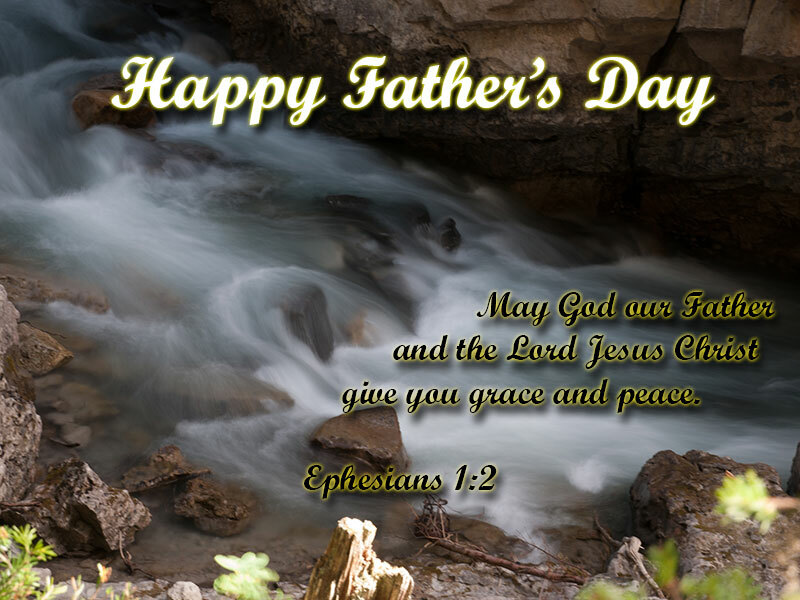 1:2, Father's Day, Our Father in Heaven by Tigger. Bookmark the permalink.